It’s time to get a little technical in our Webinar! Following up on our webinar series dedicated to enthusiastic Salesforce experts about mobility, we are now ready to go a bit ‘beyond the basics’. Resco’s lead engineer for Salesforce – Marek Estok, will get all the participants up to speed on the fundamentals of Resco Mobile CRM from a customization specialist point of view. 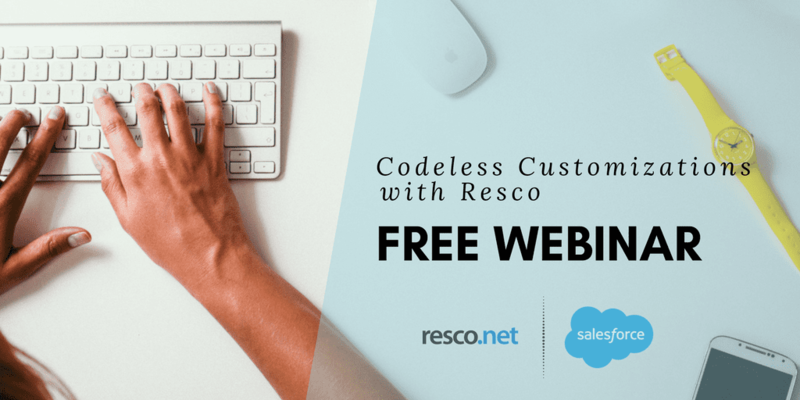 You will learn how to make your Salesforce custom data available in Resco and present it the way most fitting to your business needs! Guiding you through the rich functionality of the Woodford Configuration tool, you will start building knowledge of how to tailor Resco experience without coding skills, just by using one simple tool. Smoothly and effortlessly. After attending this training, you’ll ask yourself how you didn’t know you could do this much with Salesforce on your phone/tablet! How do I connect Resco to Salesforce with an ease and almost no effort? To what extend can I modify the app I get from Resco? Are there even any limitations? How to create and utilize custom objects I create in Woodford configuration tool? How to easily add custom objects to commonly used features such are maps, calendar, route planner, etc.? How to create new icons and show them in the app menu?